Lee Newcomb (left), Laverne Webb (seated) and Shirley Sallet are board members of Talbot Village Connections, which offers its members a variety of services through its network of volunteers. As the number of seniors is growing in Talbot County, so is the need for services. In 2014, a group of local residents formed the “Village Exploratory Committee” to address the need for affordable services that would allow older adults to remain safely in their homes for as long as possible. In September 2015, Talbot Village Connections (TVC) achieved 501(c)(3) status through Mid-Shore Community Foundation. The organization serves Talbot County residents, aged 55 and above. According to Lee Lynch Newcomb, LCSW-C, President of Talbot Village Connection, the all-volunteer group became active in February 2017. Talbot Village Connections provides affordable services to its members through its network of trained volunteers. Membership is affordable and reliable and is “one phone call” away, from access to necessary services such as local transportation, simple household/gardening chores, daily telephone assurance calls, friendly visitors, review of contract proposals for home repairs, and social/educational opportunities. In the future, the group hopes to offer help with technology issues for its members. Talbot Village Connections offers its members a variety of services through its network of volunteers. All volunteers are screened through reference and background checks. The organization is looking for volunteers who have energy, creativity, and a desire to make their community and the world a better place. Tasks include taking members to appointments, the store and on other small errands; and providing in-home telephone calls for members who desire a daily check-in. Talbot Village Connections is also looking for volunteers to do computer entry, mailings, staff parties, and answer phones, as well as to provide technology support, handyman services, and review contract proposals for home repairs. Talbot Village Connections has developed relationships with a number of partner organizations that provide support, in-kind services, referrals and resources to its members. 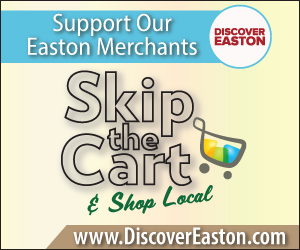 These partners include United Fund, Mid-Shore Community Foundation, Talbot County Council, Talbot County Department of Social Services, Talbot County Health Department, University of Maryland Shore Medical Center at Easton, Village-to-Village Network, Brookletts Place (Talbot County Senior Center), and The Studio. Talbot Village Connections is a member of Village-to-Village Network, a national organization representing over 200 villages in the United States. Villages are designed to reflect the communities they serve, and they offer today’s seniors an opportunity to age successfully, supported by other Village members and volunteers. Lee adds that family members have been appreciative to have this service in Talbot County as it lessens the stress of meeting the needs of their aging family members. Membership costs $45 per quarter for individuals and $60 per quarter for households. Membership includes a bimonthly newsletter and invitations to social and educational programs, four transportation requests a month, two hours a month of minor home repairs, review of contract proposals for home repairs, telephone reassurance, and home visits. In November, the organization will host a Life Transitions workshop for its members and volunteers. “We are also looking for donations to match the funds we are seeking in the grants we have applied for,” Lee states. 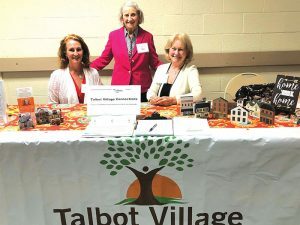 To learn more about membership or volunteering for Talbot Village Connections, call 410-714-4010 or email talbotvillageconnections@gmail.com or visit talbotvillageconnections.com.